A New Year brings new resolutions and, sadly, broken promises. So why not opt for something more permanent? One of the more recent manifestations is to do a January digital detox – a promise to ditch the way we constantly communicate online with less reliance on email, texts, social media, smartphones etc to bring harmony to your life. Trouble is, temporary cessations don’t work. In theory, the more means and methods of instant communication we have the happier we should be. Interaction should be easier, better and more enjoyable. But we’re unhappier, often worse at inter-personal skills and unable to focus on what matters most. Mental health is a growing problem, particularly among young people. 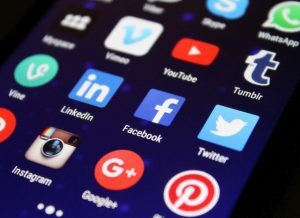 Research suggests social media in particular can amplify feelings of insecurity and anxiety – and we’re becoming addicts. Even the leaders who took us down this path are worried. Chamath Palihapitiya, a former vice-president at Facebook, recently said he feels “tremendous guilt” over his work on “tools that are ripping apart the social fabric of how society works. This is a wretched state of affairs which needs radical change – and we’re the ones who need to make change happen. I will often ask a business audience who views their phone for messages before speaking to their partners first thing in the morning or last thing at night. The eyes that avert my gaze tell the story. Too many. So how do we seize back control? Here are five simple ways to reclaim the communications game for a happier, healthier life. Sign your own pledge. Ditch the bad habits and list ways you can connect with those you love. Remember the time you give to others is time taken away from those around you. Keep to your promises. Permanently. Be positive and proactive. Focus on saying positive things so you don’t fall out with people or engage in a string of hastily-written messages. If in doubt, pick up the phone to avoid misunderstandings. Unless it is truly urgent, don’t text or email when you get home from work (after 7pm I’d suggest for most people). Let colleagues know that’s what you’ll do and try switching the phone off, going for a walk, exercising and/or dedicate your re-found time to those you love – it is more rewarding and fulfilling. Manage time and expectations. Dedicate, maybe, 5-10 minutes each hour (or twice day if possible) to deal with emails/text/messages. Don’t firefight your way through the day playing email tennis. You’ll get more done and achieve better results. Let work colleagues know you’ll respond when you can or within a time frame, not just on demand. ‘Be the change you wish to see in the world’ as Gandhi once said. Change your ways so others can follow suit. Enjoy your new-found freedom. The time you’ll recover will enable you to enjoy a greater sense of well being. Now create your own pledge – sign it and stick to it. Creating and signing your personal digital detox pledge is one of many messages with Chris Green Media’s Soul Business ethos.